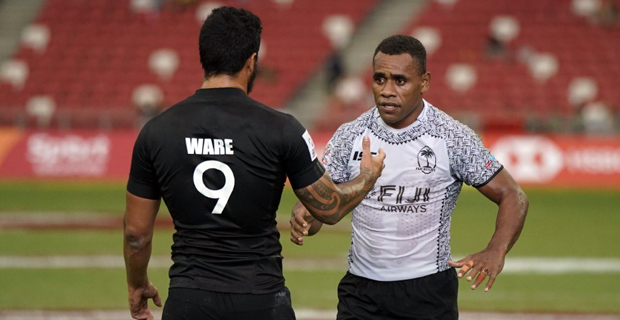 The Fiji Airways Men’s national 7s team has qualified for the semi-finals of the Singapore 7s after outclassing New Zealand 19-5 in their quarter-final match. Fiji held their own in a physical encounter without Jerry Tuwai. Fiji will now play England in the semi-final at 8.12pm. New Zealand scored first through Tim Mikkelson. Fiji hit back with tries from Josua Vakurinabili and Livai Ikanikoda as Fiji led 12-5 at half-time. Filimoni Botitu was sin-binned for a deliberate knock on in the first half. Botitu made amends in the second half as he scored Fiji’s third try as Fiji led 19-5. New Zealand tried their best to score in the second half but Fiji’s defence stood tall. The cup semifinals start at 7.50pm while the Cup final is at 11pm. Meanwhile, South Africa beat Samoa 21-12 in their quarter-final while USA beat Argentina 12-10.